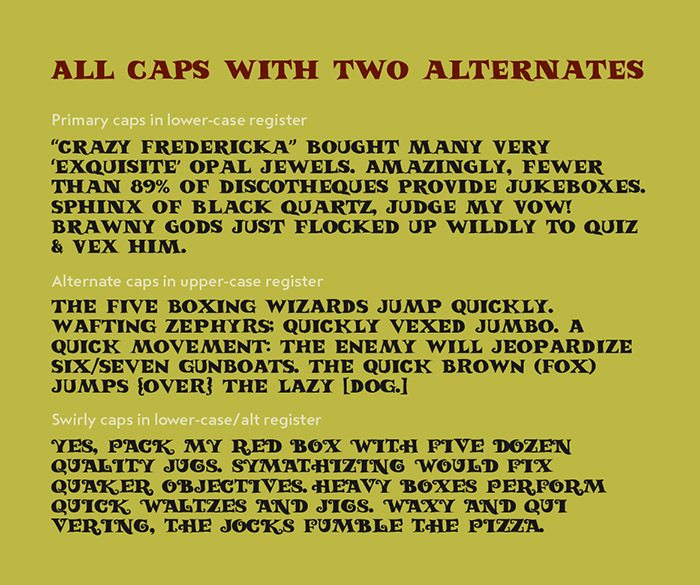 Because there are three sets of caps, greater character variety is possible in a line of text. 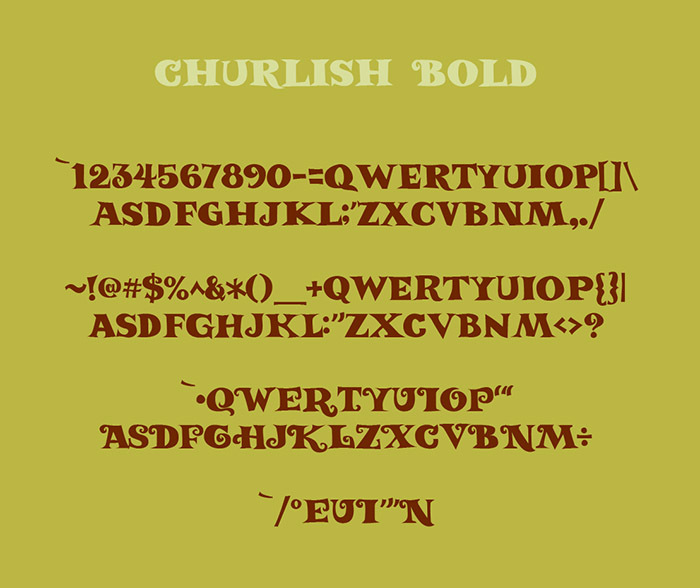 Churlish Bold is a freehand, all-caps face with an alternate set of caps and, additionally, a set of caps with a swirl flourish. Primary caps, alternate caps and swirly caps can be intermixed freely for a handmade feel. 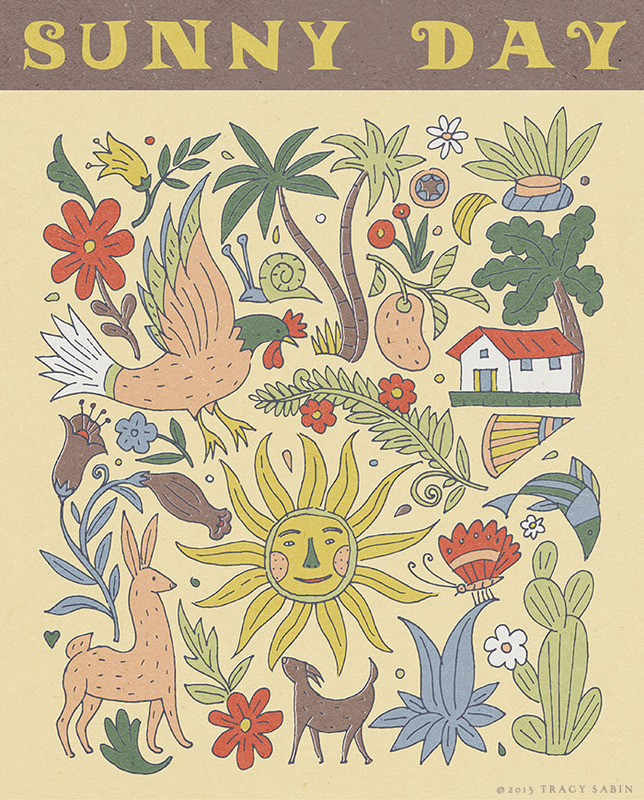 Intended for short runs of text, Churlish Bold is useful when a portly eccentricity is called for.